I'm currently working with our friends at DicE Magazine (yay) to bring you updates on the latest issues, events and more. I thought it would be fitting to give you a taste of what's heading your way. 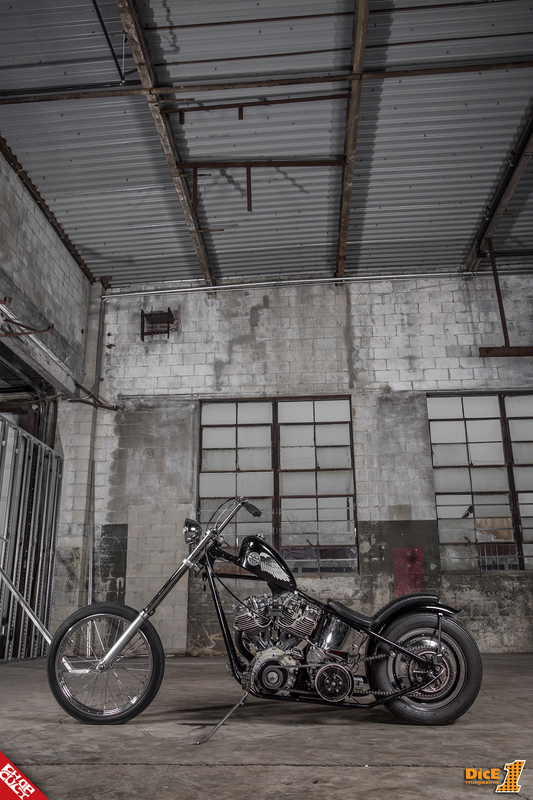 Here's one of MANY bike features hitting the pages of Issue 73 photographed by the talented Mr. Mikey Revolt. 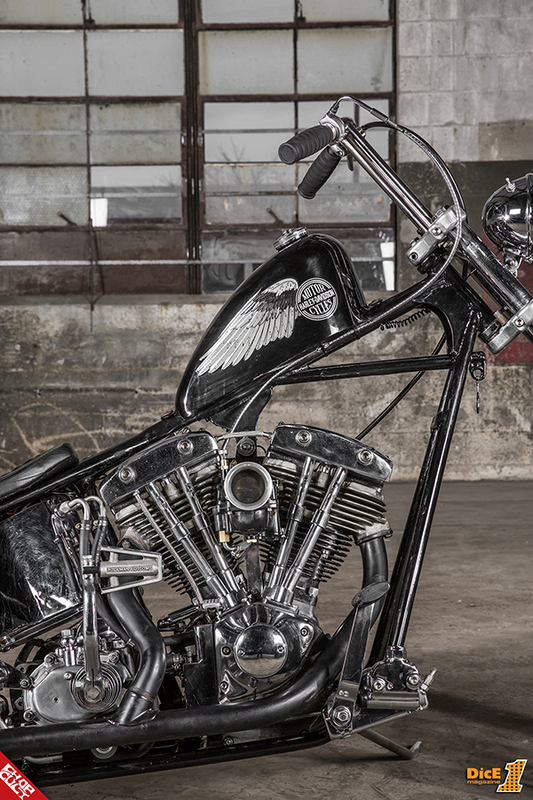 Enjoy The Death Machine built by Death Co.'s Dan Dellostritto! 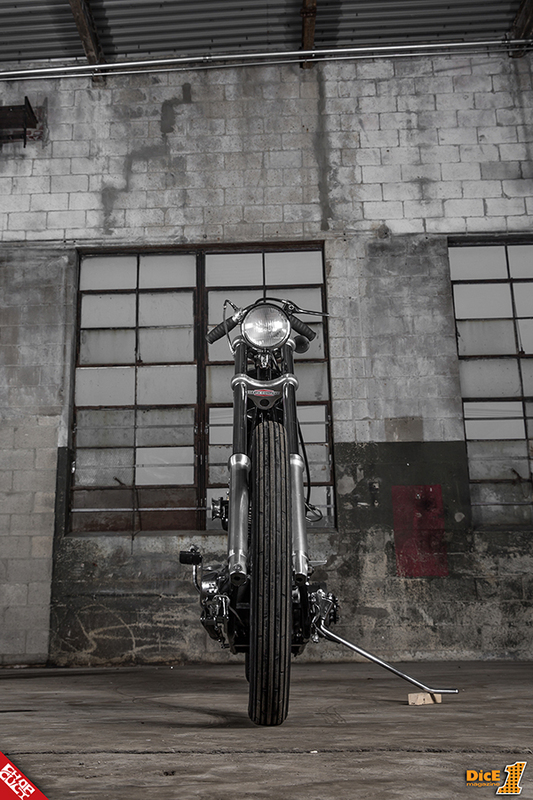 “Back in 2010, I was riding a Dyna, but was on the hunt for an older bike. Night and day, I would scour Craigslist trying to find something in my price range that wasn’t a complete monstrosity, and I was fortunate to come across a 1972 FLH right outside of town. It was a one family owned the bike with low miles and a redone top end being sold by a younger kid who just wanted something newer. My Dyna was the perfect bike for him, so without much negotiating, the deal was made that evening, and the bikes were swapped out, and paperwork filed the next day. 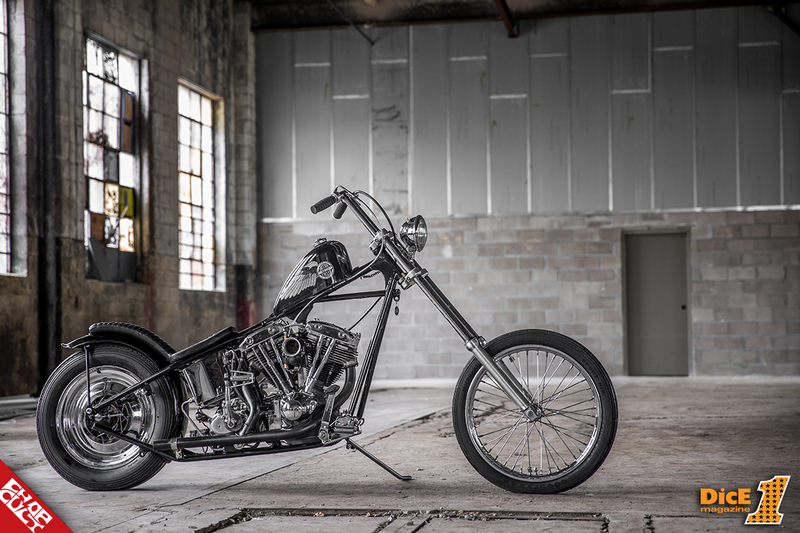 I rode the Shovelhead as is for the next year or so, only removing bits and pieces to minimize the overall aesthetic as much as I could. After about a year, I burnt up the transmission, leaving me stranded in Louisville. I had it towed home to my garage, and there it sat "neglected"for months. In the fall of 2014, I decided it was time to make some progress on it. I picked up the current frame off of Chopper Swapper from a dude in California. My friend, Mike Schrickel, from Chop Machine in Toledo, Ohio gave me a good deal on the Mullins Super Narrow front end with ten over tubes and spooled 21” front wheel. I pulled the Old Gold Garage seat from the swing arm roller, and had my good buddy Kyle Waltz rebuild my transmission. Trey Guidry painted the tins, which were purchased from Lowbrow. The head light bracket was made by Kerry Sayre, which paired nicely with the Eazy Company ‘Boomerang’ bars that I had made. 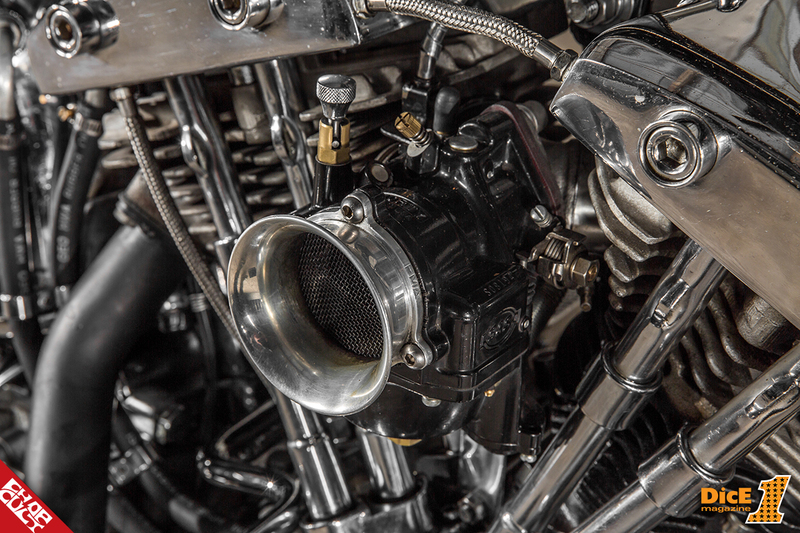 All of the fabrication work was completed by Jake Smith Motorworks here in Columbus. The bike was wrapped up by March 2015, mere hours before we were set to load up our bikes and head to Austin, Texas for the 2nd annual Giddy Up Show. Be sure to like DicE Magazine's new Facebook page, follow them on Instagram, and buy your copy here. 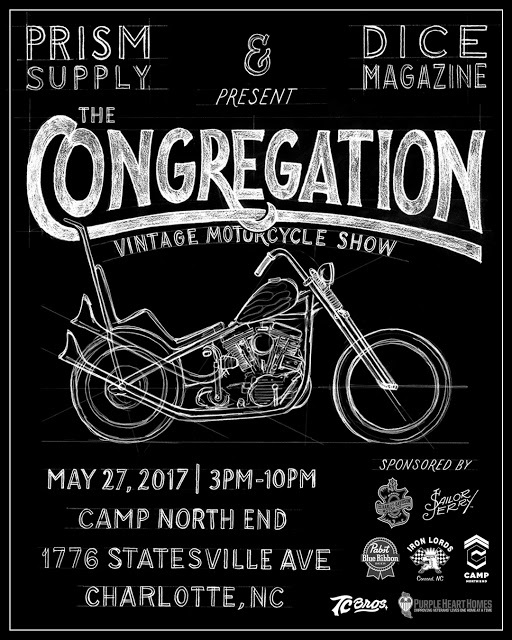 Don't forget to support DicE and Prism Supply for The Congregation Show this weekend! Complete show information can be found at www.thecongregationshow.com and @thecongregationshow. Great trade of bikes and great pictures!